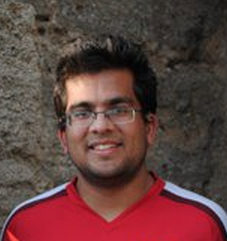 Cheenu is the developer of ClinchPad. He has previous experience in SaaS space, having worked on Bloomberg Law, a SaaS product, while working with Bloomberg in New York City. He has a Masters degree in Computer Science from University of Florida. ClinchPad has been incubated by GSF Accelerator, a multi city accelerator in India backed by prominent funds such as 500 Startups and Seedcamp.